Bluestone Fitness are a brand new boutique health club situated in Ashby de la Zouch and we're looking forward to sharing an exclusive experience to those who seek a healthier lifestyle. Our aim is to offer a unique space for our members to feel comfortable and relaxed whilst enjoying their workout. Along side our studios offering classes from Yoga & Pilates to Insanity & SpinFit - we have a full facility gym for all your needs. The gym contains several different cardio machines such as treadmills, bikes and crosstrainers and also a studio dedicated to spinning classes. 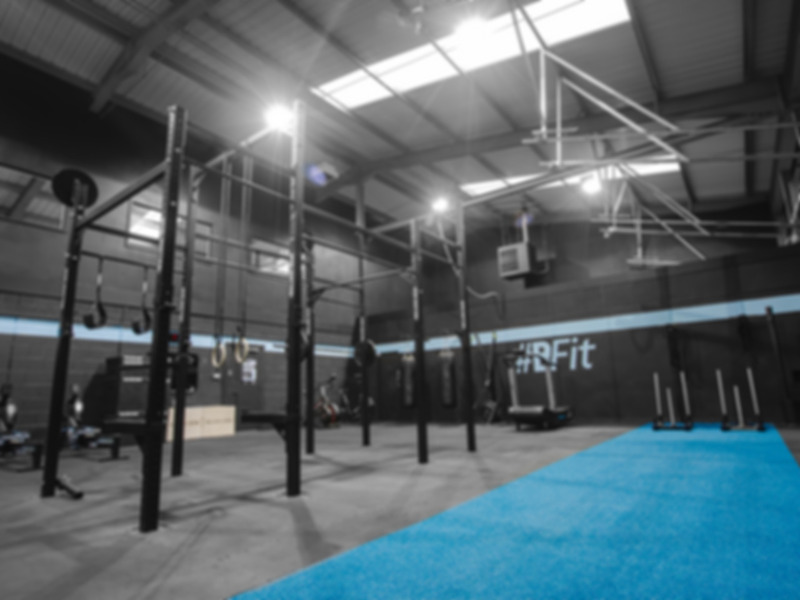 The gym also contains equipment suitable for weightlifting (free weights, benches, barbells and squat rack) as well as functional fitness with a punch bag, battle ropes and a small rig with bars. The facilities on site include excellent changing rooms along with showers and lockers and there is plenty of parking on site. Free wifi and air conditioning is available and there is disabled access. There is also a small kitchen where you can order drinks and food. With design at the forefront this health club plans to use a holistic approach to enhance health, mind and body. So whether you are looking to tone up, get fit or to just enjoy exercise, we welcome you to join this exciting new fitness experience. Love going to the gym ! My first Pay As You Gym Experience, and was seamless. Walked in, was asked if I was pay as you gym, showed my phone and ID, and was shown to the machines. The gym was clean, staff friendly and wasn't intimidating in the slightest. Excellent a great gym staff are great as are the facilities. The staff were very friendly and very easy to understand. I felt very welcome to work out here and the equipment was great. It was very busy so I had to wait to use a lot of the equipment, as it is such a successful Gym it would be great to see it expand. Helpful staff always on hand .